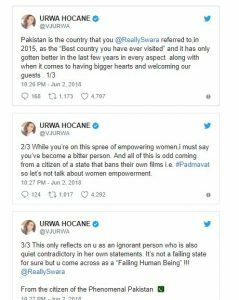 Urwa Hocane Has The Perfect Answer For The Two Faced Swara Bhaskar, Veere Di Wedding was banned in Pakistan and we couldn’t be more aggravated. 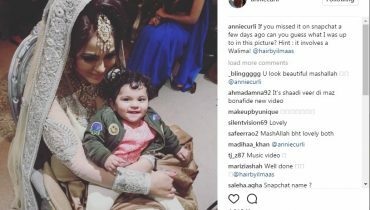 As females, we were really looking forward to watching the movie without any India Pakistan bias involved. 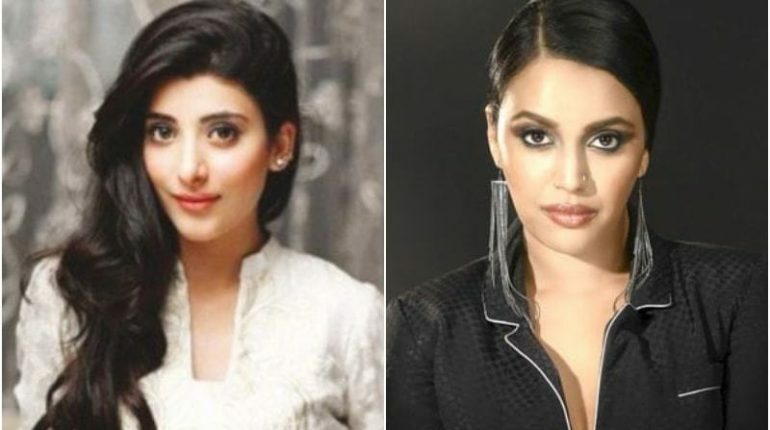 While we were eager to watch Kareena Kapoor and Sonam Kapoor in action, no thought was actually given to Swara Bhaskar who was playing a supporting role in the film. 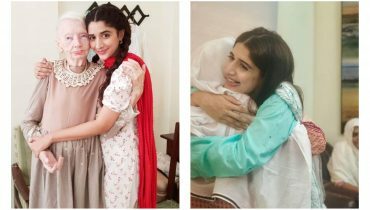 However, with the actor making quite a few anti-Pakistan comments in a recent interview promoting the film, she has quite successfully succeeded in earning a bit of our time, with her eager-for-attention attitude. 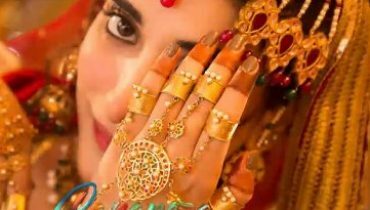 In a recent interview with Rajeev Masand (film critic for CNN News18) Sawra Bhaskar was asked what she thought about the ban on Veere Di Wedding in Pakistan. While the question asked for a simple answer, Bhaskar ventured into a tirade of anti-Pakistani sentiments, which perhaps she had been harboring for a long time now. 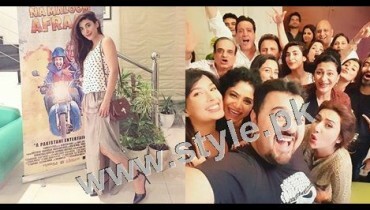 “I don’t know why people think I’m a spokesperson for the Pakistani government,” she said. “What do you expect from a state that’s run by Sharia Laws?” Bhaskar also added that Pakistan is a “failing state” and India should stop making it a point of discussion. 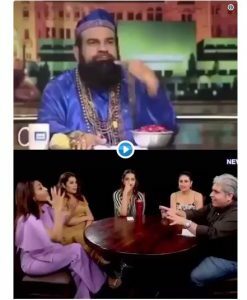 While the comments Bhaskar made, have sent Twitter over into a frenzy, there is one Pakistan, who chose to insult Swara with dignity, giving her the perfect comebacks for her double standards and spiteful comments. Even if she couldn’t get a better part to play in the film, Swara Bhaskar has earned herself the cheap publicity, she set out of achieve, through the bitter controversy she stirred. 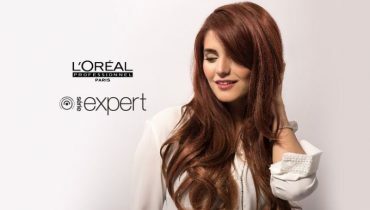 Music Sensation Momina Mustehsan L’Oreal’s New Face!